How Do I Choose the Best Tortilla Maker? Tortillas are commonly made at home using a manual press. There are a number of factors to consider when looking for a tortilla maker, including budget and convenience. The least expensive tortilla makers are also relatively simple, consisting of two hinged plates that are manually pressed together during operation. Cast aluminum units are typically the least expensive, though you may want to look for a sturdier cast iron tortilla maker if you can afford it, and wooden units are another option. Electric units that press and fry tortillas are typically more expensive, but they can be a good choice if you consider convenience to be an important factor. 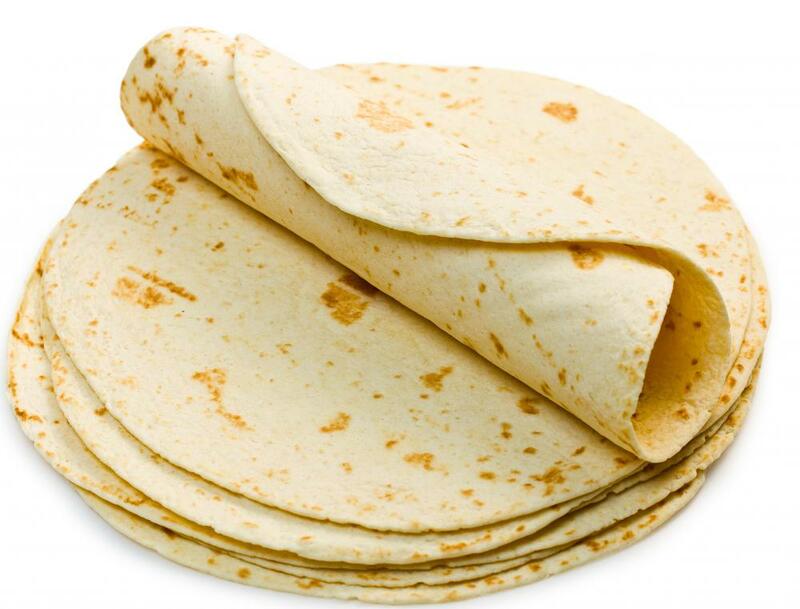 You should also take the size of the tortillas you want to make into consideration, since most units are set up to press only a single diameter. Tortillas are a type of unleavened flatbread that were originally made from a corn based dough, though they are also made from wheat flour as well. Preparation traditionally involved forming them by hand, or with the aid of a banana leaf, so it was very labor intensive. For people who prefer a more uniform product that takes less time to prepare, there are a number of tortilla maker options available. 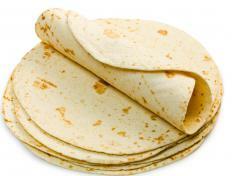 The first factor to consider when choosing a tortilla maker is the size of the tortillas you would like to produce. Most tortilla makers are designed to press tortillas that are either 6 or 8 inches (about 15 or 20 cm) in diameter, though other sizes are available as well. If you want to be able to make more than one size, you will typically need to purchase more than one press. Another option, if budget is a concern, is to purchase the largest size. You will then have the choice of making smaller tortillas by using less dough, or manually trimming the full sized tortillas. Most tortilla makers are simple presses that are operated manually. Construction materials are typically the main difference from one unit to another, so you may want to take that into consideration. Cast iron tortilla makers are typically the most durable, though aluminum units are often less expensive. An aluminum tortilla maker may work just fine for your purposes, though you will typically need to be careful to avoid exerting too much pressure on it. If you decide to select a wooden unit instead, you should look for one that is made out of oak, mesquite, or another similar wood. Another option is the electric tortilla maker, which offers an added convenience factor for a premium price. These units can be a good choice if you have more money to spend and prefer the convenience of frying the tortillas right in the press. Some of these units can also be used to make other flatbreads, such as pita, lefse, and focaccia. What Are the Best Tips for Making a Homemade Tortilla? What Is a Whole Grain Tortilla? How Do I Choose the Best Flat Bread Maker? How Do I Choose the Best Tortilla Steamer? What Is a Flour Tortilla? What Is a Corn Tortilla?